Are you using HubSpot as your inbound marketing and sales software but finding it is not meeting your expectations in all areas? 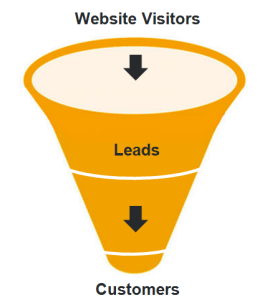 HubSpot is a great tool for attracting visitors, converting leads, analytics and more. Businesses that use HubSpot's software see their traffic increase by more than 2.5 times (HubSpot). But like any piece of software if you are not using it correctly you may not be getting the full benefit. One issue experienced by a lot of HubSpot users that we’ve spoken to is that they are getting a large quantity of leads coming through but finding many of these to be of a poor quality, not in their target market or from other countries or industries not relevant to their business. First, let's just make sure we are on the same "page" regarding terminology. In HubSpot, a "lead" is defined as a stranger who comes onto your site and fills in a form to receive an offer from your company, whether it is an eBook, a webinar or a case study, and is then stored in your system allowing you to email them and nurture them with relevant content and information. You need to attract the right sort of strangers – but how? To ensure you get only the right leads coming through to your inbox there are two things you need to do – first is ensuring all of your marketing output (content, social activity, PPC campaigns etc.) is targeted to the right people – and then once the leads start coming in, making sure that you have an adequate data management process in place to filter out the wrong kind who do sneak through. Before creating your content marketing strategy, it is crucial that you have a full understanding of who exactly is in your target audience. Crafting detailed buyer personas will allow you a deeper insight into the behaviours, demographics and thought processes of your ideal customer and will allow you to create targeted content that more accurately meets their needs. This way, your content will get interest from the right people, and will begin to filter out those that are not in your target audience. Choose to write about the topics that are relevant to your buyer personas, as well as implementing a focused keyword strategy based on the search terms your ideal customers will be using to try to solve their business pain points. If your company only operates in the UK make sure this is made clear on your website and in your content, to avoid false leads coming through from other countries. Social media is one of the best ways to get your content out to a vast audience of strangers who will get value out of the information you are providing. Using relevant hashtags on Twitter will make it easier for your ideal customers to find you. Post into LinkedIn groups related to your services and your audiences’ industries, job roles and demographics. As long as you know where to find your ideal buyer and you can demonstrate your value to them, they will engage with you. Your landing pages are where a website visitor converts into a lead, and so it is crucial that this page is optimised to convert the right sort of people, and turn away those who your offer is not relevant to. Use the text to explicitly outline the value of the offer, targeted towards the specific pain points and needs of your buyer persona. It should be clear to anyone outside of your target audience that this offer is not targeted at them. Want to separate out different audiences? Give alternative calls to action like "Solution x for Financial Services" and "Solution x for IT Companies". Use the CTA to update their industry classification. This avoids having to ask them in a form and enables you to trigger appropriate workflow emails based on their industry. Or, your solution might be aimed at larger businesses. In that case, offer two calls to action based on their size. eg "Solution x for businesses over £100m" and "Solution x for smaller businesses". By allowing the reader to self-select they are helping you to qualify and nurture them at the same time. Targeting your content towards your buyers should reduce the number of false leads converting, but it's still possible that you may get a few contacts trickling through who are outside of your target market. When this occurs, you need to have a process in place to isolate these contacts and prevent them from entering into your lead nurturing process. The forms on your landing page are useful for collecting data about your contacts which you can then use to segment contacts and target further communications. They are also great for instantly learning which contacts are not immediately of use to you. You can ask questions about their industry, company size, revenue, budget, anything that will help you determine whether or not they are in your target audience. HubSpot will also tell you what country a contact is from based on their IP address which will be useful if you are only targeting UK companies. Use this information to route contacts to the right sales person and target follow-up emails. As well as people outside your target audience who have expressed an interest in your services, you may also see leads come through who are obviously spam, either trying to sell you irrelevant services or people filling in your forms with nonsense. To minimise this, if you sell to business people, you have the option to block free email accounts such as Gmail and Hotmail and force people to enter a business email address in forms. Once you have done all you can to minimise the number of false leads converting on your landing page, what do you do about those few contacts who inevitably will filter through? You don’t want them to receive your lead nurturing emails so you need a process in place to isolate them and then either delete them or keep them in a quiet list. HubSpot workflow is a great tool for this. You can set up a workflow to select all contacts who do not meet your target criteria and then automatically carry out an action such as opting them out or moving them into a quiet list. Once set up, the workflow will do the job for you, but you may wish to have a manual process in place just to make sure the criteria you have set are sufficient to capture every contact in your target audience. Are your buyer personas up to date and fully understood by your content editors? Is all your content optimised by buyer persona? Are you driving traffic via the right channels? In other words are you using the right channels for each of your buyer personas? Do your forms collect the right information - so that you can segment contacts easily? Are you using alternative CTAs and lead sources to automatically segment contacts? Can you restrict emails to just business emails? Do you have a sound data management process in place? If you'd like to learn how to optimise HubSpot and develop a more robust lead generation program, click here to find out about our HubSpot training courses and workshops or book a 1:1 consultation.